I'm Keith, aka The Friendly Dentist. In the black sweater is my assistant, Carina, and sitting down is my office manager, Nancy. We've been serving Lilburn, Georgia and the surrounding areas since 1983. If you're looking for a local dentist, we're here for you. What makes us different? 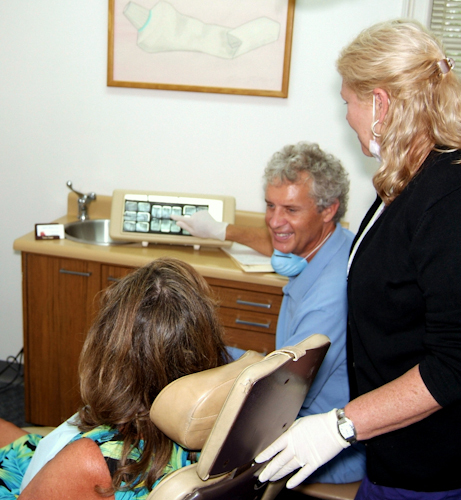 Well, we listen to you, we don't judge you, and we do everything we can to help you with your dental needs. I'd love to be your dentist, so drop us a line and let us know if there are any questions we can answer. Dr. Reynolds opened his private practice in Lilburn, Georgia in 1983. He received the DMD degree in 1982 from the Medical College of Georgia, having spent 3 years prior doing dental research in fluoride metabolism. Keith was the course director of the Georgia dental alumnae study group for 12 years and is an associate professor of restorative dentistry for the Medical College of Georgia. He also volunteers at the Ben Massel Dental Clinic. Keith is supported in the office by longtime assistants Nancy and Carina who help ensure your visits are always pleasant and worthwhile. If we can ever help you in any way, please don't hesitate to contact us. And more - Please contact us if you don't see what you're looking for. We welcome new patients. Please contact us to discuss what we can do for you and to schedule an appointment. We don't like to keep you waiting, so we strive to see you at the time of your appointment. If we are running behind schedule, we will inform you before you come in or upon your arrival. We ask you to please give us 24 hour advance notice if you cannot keep an appointment. Broken appointments are subject to charges. 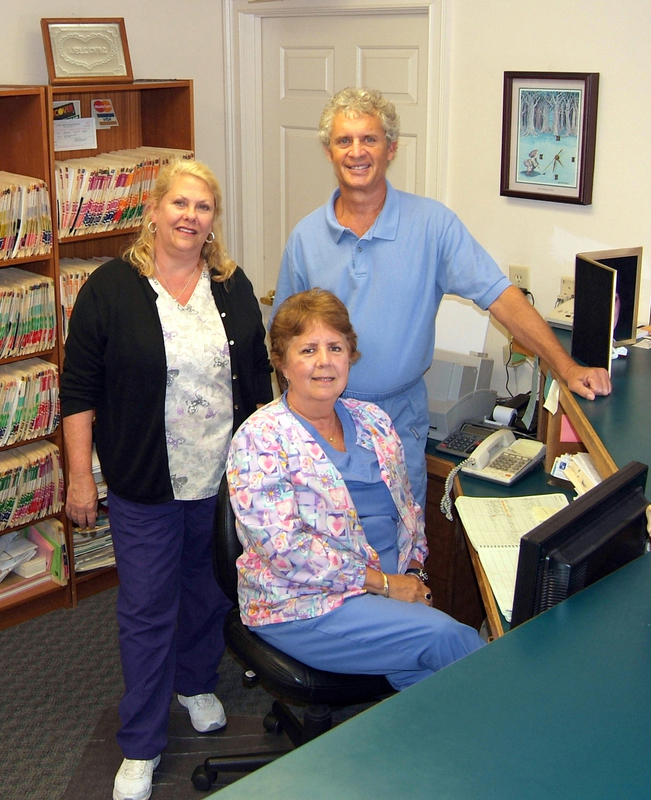 Patients are responsible for the payment of all charges at the time services are rendered. If your insurance allows you to go to the dentist of your choice, we will accept assignment of benefits after coverage has been verified. If we are out of network for your plan, you may pay us directly and receive payments from your insurance. We accept Mastercard, Visa, American Express, and Discover credit cards. We also accept personal checks, cash, and debit cards associated with "cafeteria plans." The payment plan we offer is as follows: once a plan of treatment is decided upon by you, we will divide the total cost by the number of appointments it will take to complete the treatment plan, and you can bring the same amount with you each visit. Our hope is that this will take some of the stress away from your dental appointments because there will be no surprise costs! Please don't hesitate to contact us if you have any insurance or payment questions.